Build Credit and Keep it Clean - If you use no more than 30% of the credit available to you, this will beef up your credit score. When you apply for a mortgage, lenders love to see that you can pay off your debts. Practice Budgeting - Buying something expensive is all about sacrifice in other areas of your life. 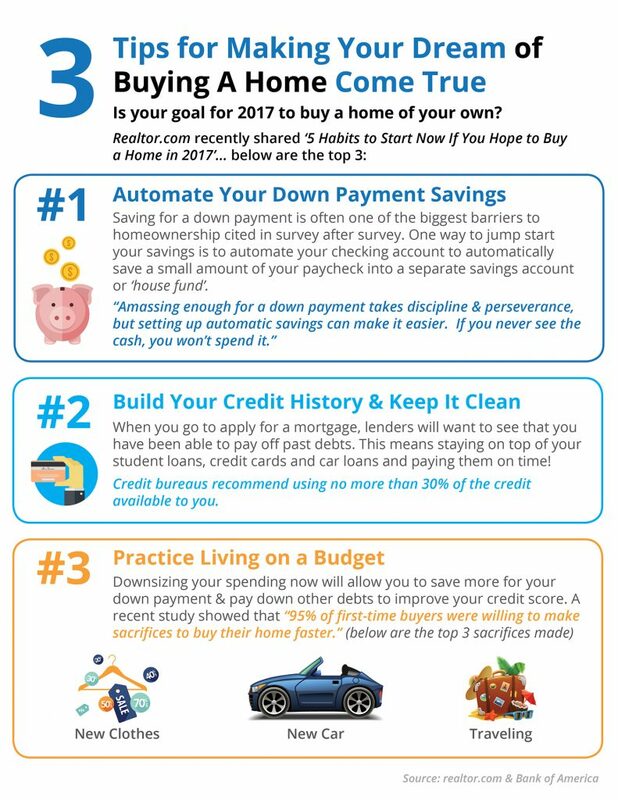 Sacrifice money for clothes, cars, and traveling to ensure that you will have a better spending habit for your future home buying!